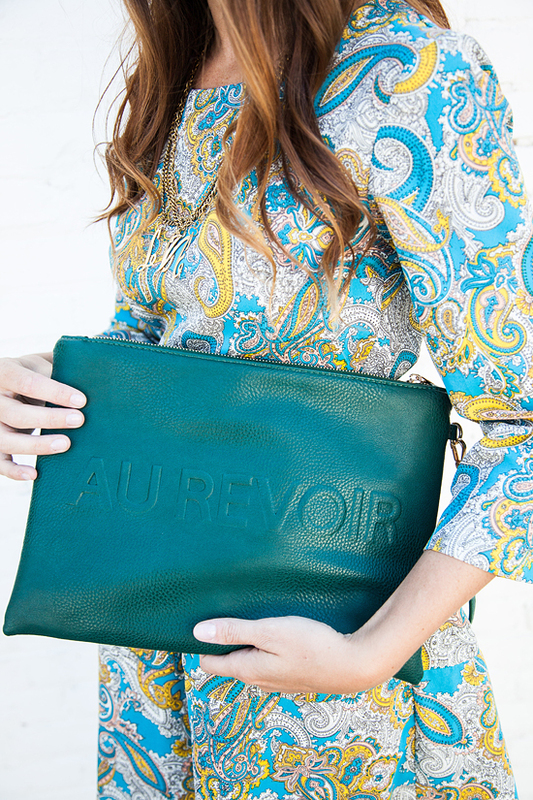 Or just shop the clutch here or here. Why do people love Fall the most? My opinion, it is the most fun season to dress for! The layers, the boots, the endless combinations of plaid! I have been slowly adding to my Fall accessory game & am so excited to have adopted this necklace from Sheer Addiction into the mix. 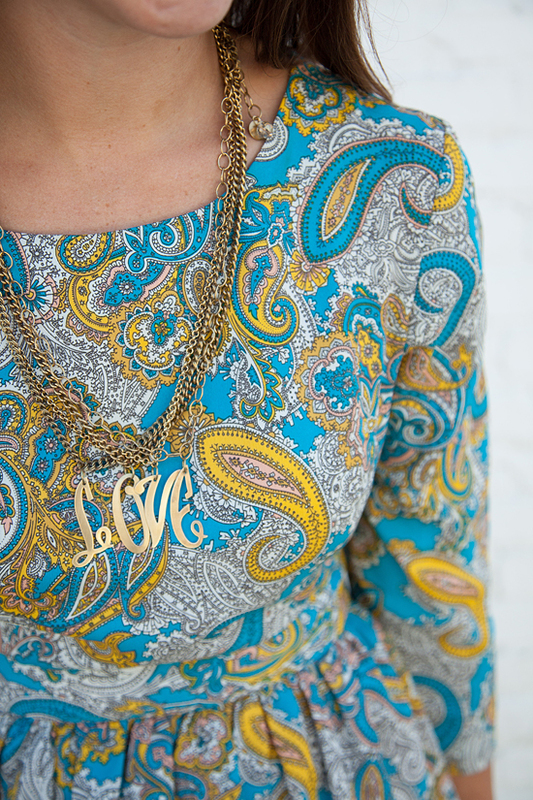 It is one necklace made from multiple chains, & the letters perfectly stack to spell out LOVE. Sheer Addiction is my source for unique, timeless, hand-down-to-your-daughters jewelry! See how I have worn some of their beautiful pieces in the past & be on the lookout for more fun outfits featuring new jewels coming your way. Don't put your Summer dresses away yet! 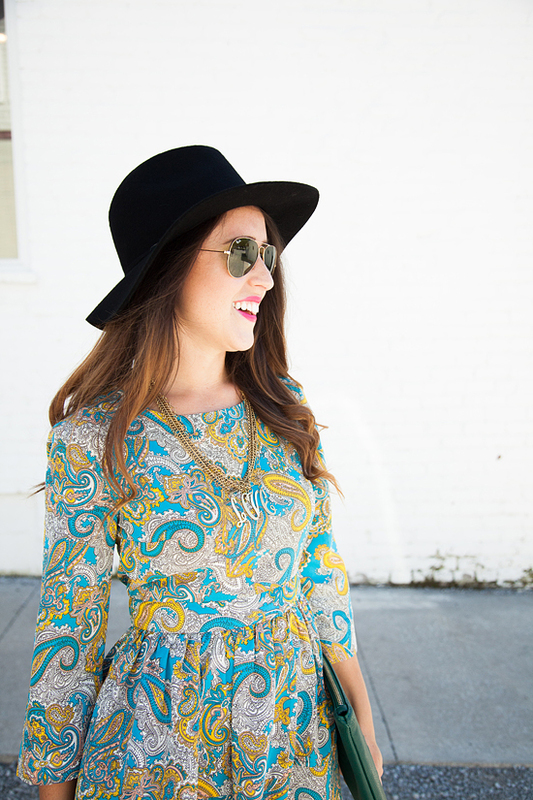 With a felt hat, dark booties & Fall-ish accessories, your Summery frocks look perfectly boho! 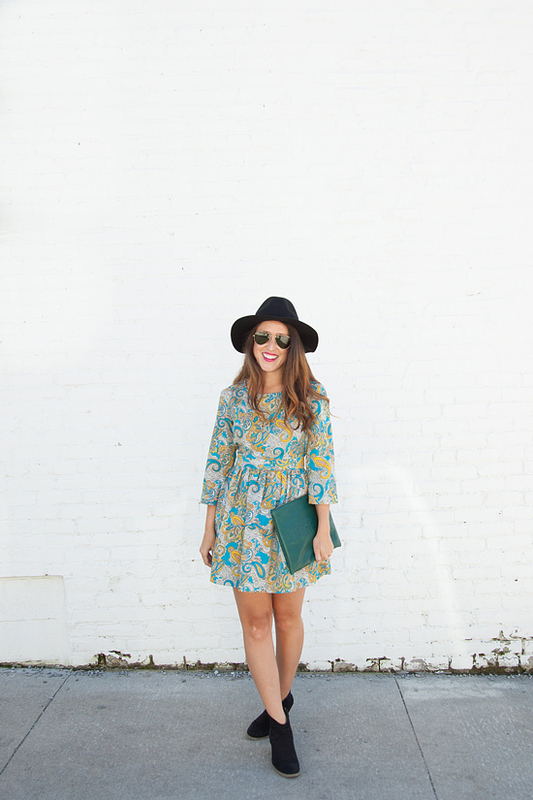 The Old Navy swing dress that I was obsessed with this Summer? Yea, they made it in a long sleeve version for Fall - I think they know me! 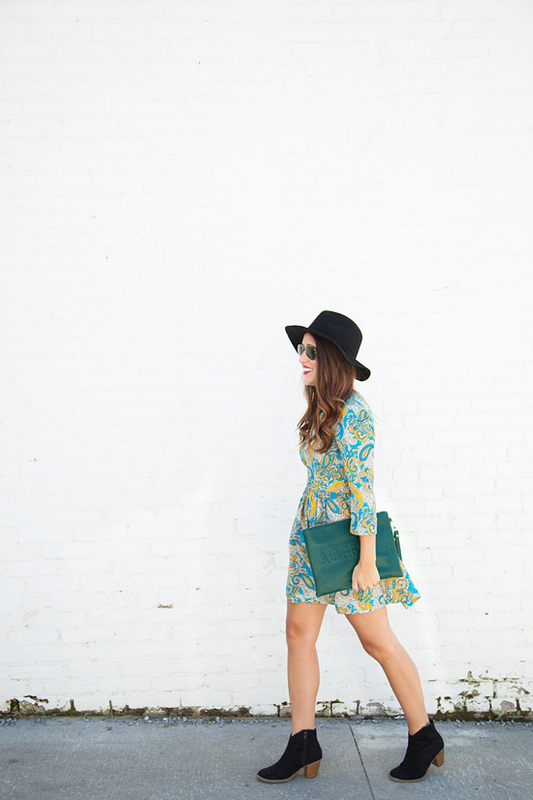 Looking for the perfect Fall hat, booties & accessories? 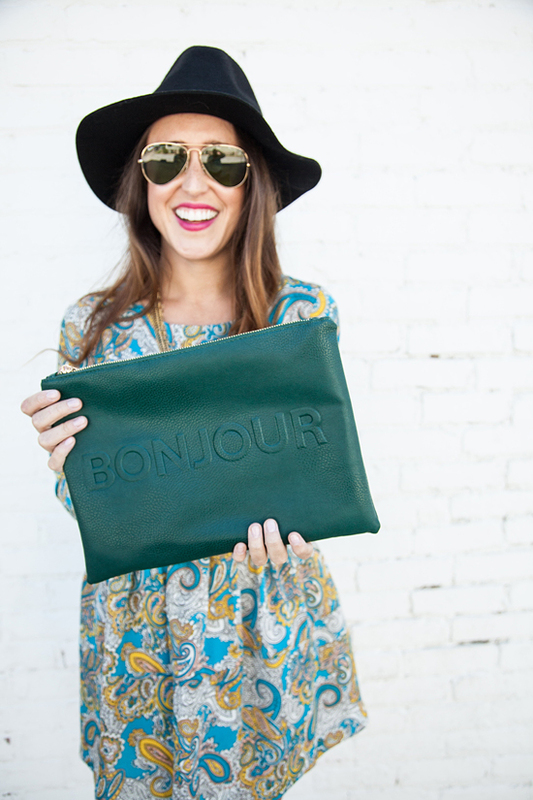 Shop the totally affordable options I am loving now! These Chelsea style pull on booties from Old Navy are only $40 & I just got these Sole Society leopard pumps & they are everyday perfection - can't wait to pair them with flannel!